"I've been looking for you for a long time." 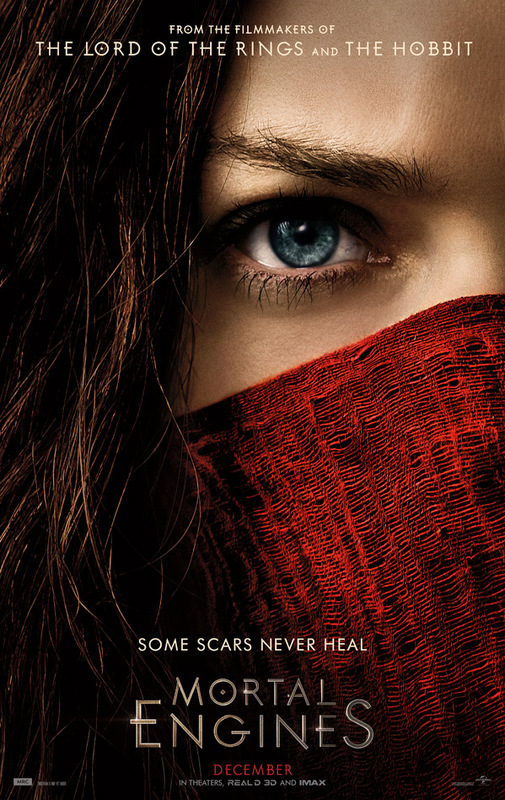 Universal has debuted the full-length official trailer for the sci-fi adaptation Mortal Engines, based on a popular book series. This adaptation has been in the works for years, in development by Peter Jackson and the LOTR/Hobbit team. Jackson is not directing, instead he's letting a VFX supervisor from Weta make his directorial debut. The fantastically eccentric ensemble cast includes Hugo Weaving, Hera Hilmar, Robert Sheehan, Jihae, Ronan Raftery, Leila George, Patrick Malahide, and Stephen Lang. While they're still not done yet, this does have some amazing VFX from Weta. The plot in this, which reminds me a bit of Dune at first glance, is about huge cities that move around and battle against each other. I have to say - I'm very impressed, this looks awesome, with a huge scope and scale that seems like it might be exciting to get into this world. You might want to check this out. You can watch the first teaser trailer for Mortal Engines here, to see the original reveal for this movie.